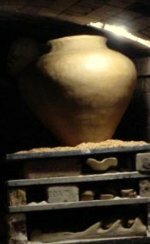 clay workshop for women focusing on the "ancient feminine"
Karen Karnes: support and fundraising for the documentary film "Don't Know, We'll See", about the life and work of internationally recognized Vermont ceramic artist Karen Karnes, a seminal figure in American ceramic art. Sonia Finley with Janice Gordon - introduced Sonia, an emerging artist studying at Cooper Union to Janice Gordon an accomplished artist to be her assistant resulting in a life long relationship/friendship in art. Through the gatherings and events at Still Mountain Center many people share common interests in creativity and the arts, making meaningful connections and relationships .